Did you know that as much as 75% of some pets' lives are lived while they are classified as "geriatric"? As a general rule of thumb, dogs and cats are considered senior around age seven, however with such a large variety of breeds and sizes, there isn't a single age that automatically translates to senior status. Valentine's Day 2015 is almost here! We're making our own preparations here at Mount Tabor Animal Hospital, but are you ready? Some people nailed down their Valentine's Day dinner reservations six months ago. And then there are some who will be scrambling to pick up a box of candy and a card from the gas station at 5:39 PM on February 14. Whether you're a planner or a procrastinator, if you are a pet owner, you can take a few simple steps to make your Valentine's Day celebrations pet-friendly! Although our winters here in Winston-Salem, NC tend to be relatively mild in comparison to other regions of the country, we have seen single-digit temperatures and below-zero wind chills so far this winter. It's time for the holiday season! Now, as much fun as they are for us, we need to be careful about what kind of mischief our pets are getting into. 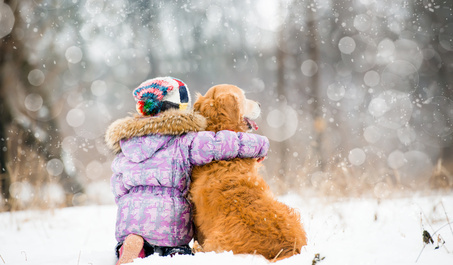 If you are concerned about keeping your pets safe this holiday season, take a moment to read a couple of the resources linked below. If you're ever in doubt about a potential health risk to your pet, or if you need to schedule an appointment, please give us a call: (336) 765-3974.